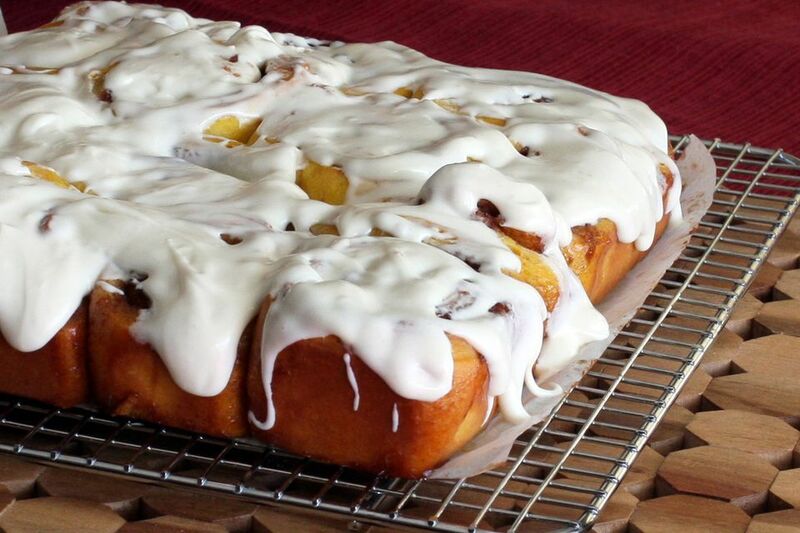 The smell of cinnamon buns and sticky rolls wafting from the kitchen will have your entire family rushing to wake up. Try these delicious recipes for the spiced pastry to start your day off right, whether it's for a special time like Christmas morning or just another weekday. Make these rich, buttery pumpkin cinnamon rolls for a holiday breakfast or brunch. With their bright color and seasonal flavor, the baked goods are great for company or to treat your family. They can also be made ahead to save time on busy mornings. These Swedish cinnamon rolls are smaller, not as sweet, and less gooey than the American version. They're spiced rather than sugary, and topped with almonds and pearl sugar instead of a thick icing. Try this version for a twist on the classic that's just as satisfying. Get a taste of fall with these caramel apple cinnamon rolls packed with fresh fruit and cinnamon spice. They also freeze well, so you can make a batch after apple picking and enjoy the fruits of your labor later in the year. You can make sticky rolls in your slow cooker with this easy, hands-off recipe. Use refrigerator biscuit dough for a simple preparation that comes together in just a couple of hours. Slow cooker times vary, so check yours after an hour and a half to make sure they don't dry out. Baked upside-down in an addictive sauce, these caramel pecan rolls are nutty, sweet, and delightfully gooey. This recipe makes a large batch, so half or even quarter it if you want fewer. They do freeze well, so you can enjoy half now and the rest later. Serve them with bacon for a real match made in breakfast heaven. Grated carrots add a beautiful color and carrot cake flavor to these yeasted rolls. Cream cheese icing completes the package. What a way to get the kids to eat their vegetables! Use refrigerated crescent rolls to make these quick and simple sticky rolls. They couldn't be easier! Any variety of nuts would work well in the recipe; try varying them to find your favorite. A stand mixer will knead this buttery brioche dough to perfection. Because this recipe is made ahead, it's ideal for a holiday meal or a special get-together. You can refrigerate them overnight and bake the next morning or freeze for a future occasion. 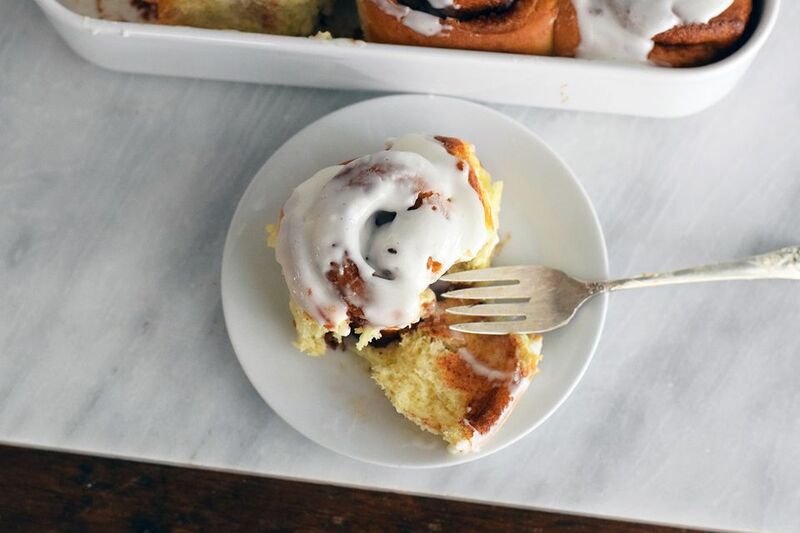 When you've got a craving for the indulgent Cinnabon classic, but don't want to get in the car, try this copycat recipe. These incredible rolls are just like the soft, dense, sweet ones you know from your favorite mall stand and easy enough to replicate at home. If you or a member of your family has allergies or dietary restrictions, this is the recipe for you. These rolls use non-dairy milk, margarine instead of butter, and vegan cream cheese for an allergen-free creation that will please all palates. Make these pretty heart-shaped cinnamon rolls for Valentine's Day or to treat your sweetheart any time. You can use either homemade dough or store-bought refrigerator dough, depending on how much time you have. Your loved one is guaranteed to feel extra special. Sour cream gives these cinnamon rolls a delightful tang that will complement the icing wonderfully. The yeast dough does require a few hours to rise, so plan ahead accordingly. Feel free to omit the chopped pecans if you're not a nut fan. These blueberry pull-apart rolls are made in your bread machine for an easy and delicious preparation and drizzled with a delightful vanilla glaze to really wow your guests. Dried blueberries work well in the recipe and you can substitute dried cranberries or pomegranate seeds to make them Christmas-ready. Keep a ball of store-bought bread dough in your freezer to make these easy rolls any time. Thaw the dough completely in the refrigerator before using. For extra pizzazz, chop some pecans or walnuts and add them to the cinnamon filling, then sprinkle some on top for a pretty presentation. These quick and easy cinnamon rolls are made with self-raising flour and don't require any yeast or rising time. They can come together in about half an hour for a special breakfast at the drop of a hat. Sprinkle with chopped walnuts or pecans for extra texture.